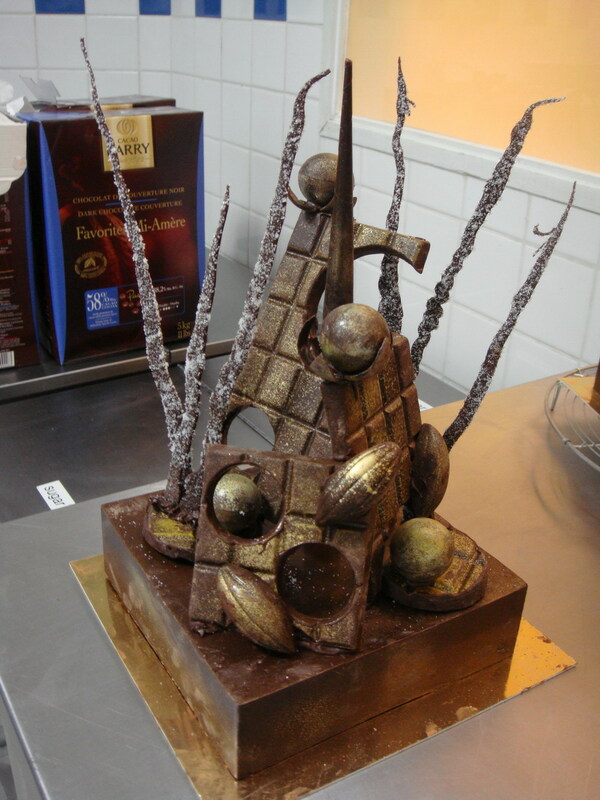 Two days were given to students to make and assemble this Easter-themed Chocolate Showpiece. Here's mine. On day 1, we tempered and molded the base, eggs, rocks and leaves. This dark chocolate was tempered, molded and assembled into a lovely chocolate box.